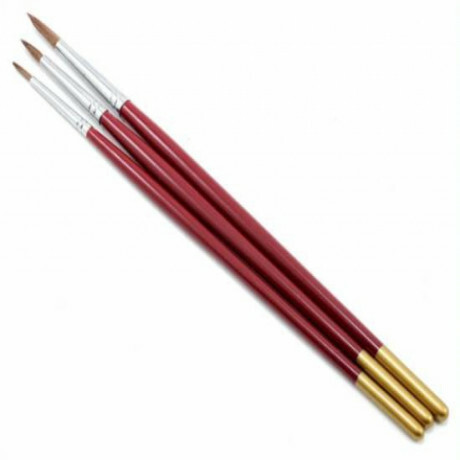 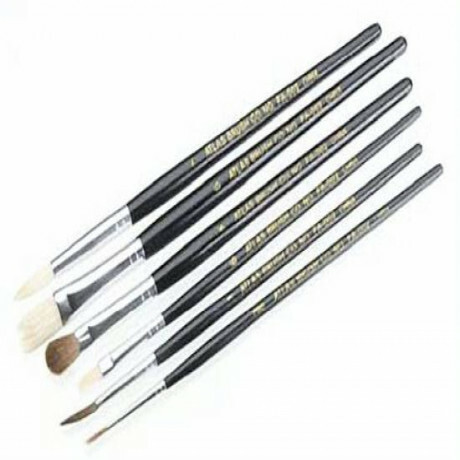 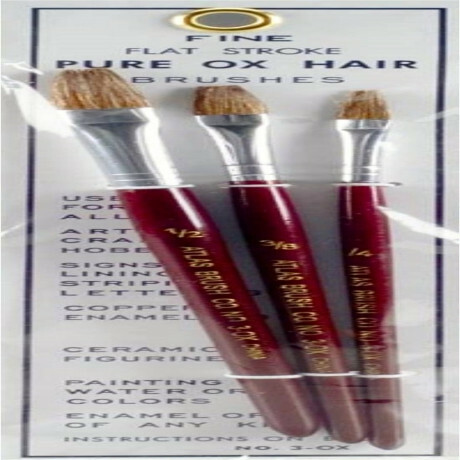 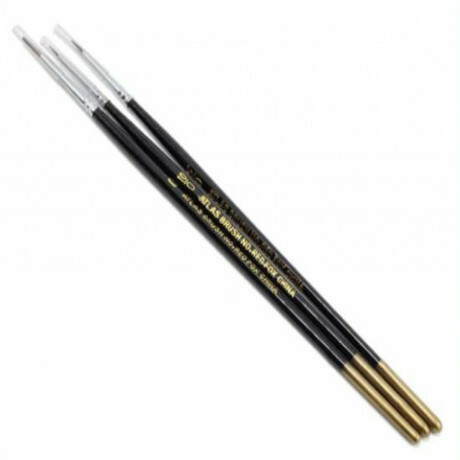 Three-piece golden taklon ultra detail set includes on each 5/0, 10/0 and 210/0 size brushes. 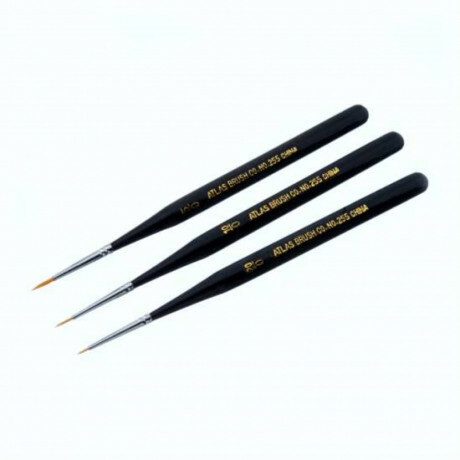 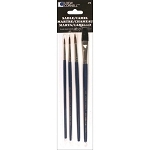 Ideal for fine detail painting or any job requiring a very fine tip. 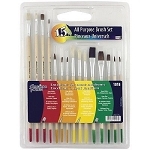 May be used with oil, acrylic polymer colors, water colors or ceramic paints. 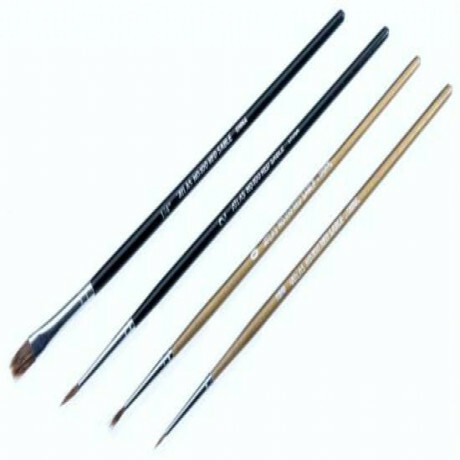 Lenth including bristles 5.5" (140mm).Wooden handles.